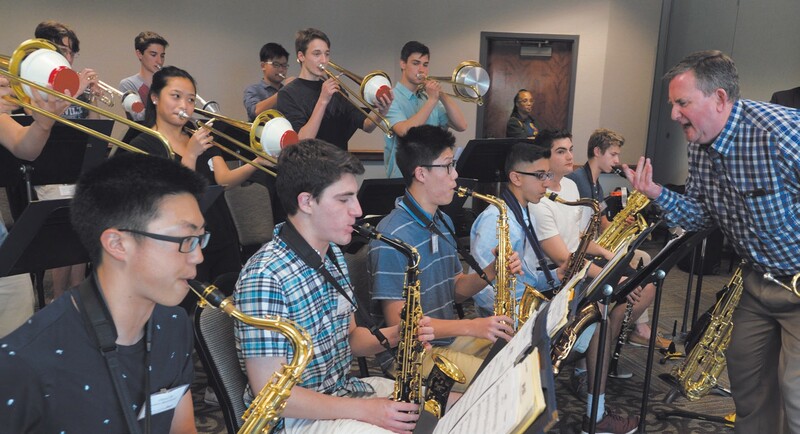 Twelve of the nation’s top high school jazz bands have been selected to participate in the twelfth annual SWING CENTRAL JAZZ (SCJ) High School Jazz Band Competition & Workshop, an event produced by the Savannah Music Festival (SMF). Renowned jazz pianist/ composer/educator Marcus Roberts leads a group of more than 20 esteemed musicians/ educators as SMF’s Associate Artistic Director, along with SCJ Associate Director and trumpet player Jim Ketch, Director of Jazz Studies at UNC Chapel Hill. The twelve finalists include student groups from across the country, including ensembles from esteemed national institutions Jazz at Lincoln Center (New York, NY) and SFJazz (San Francisco, CA). Participating students work with jazz masters across three days, perform in the Jazz on the River showcase on Savannah’s River Street, play in competition rounds, and attend a variety of SMF performances during their stay, which takes place from April 4 through 6, 2018. “This was a fantastic and extremely competitive group of applicants. Our applications increased by 40% this year, and I’m confident that these young people and their teachers represent the very best in high school jazz in America today,” says Associate Artistic Director Marcus Roberts. 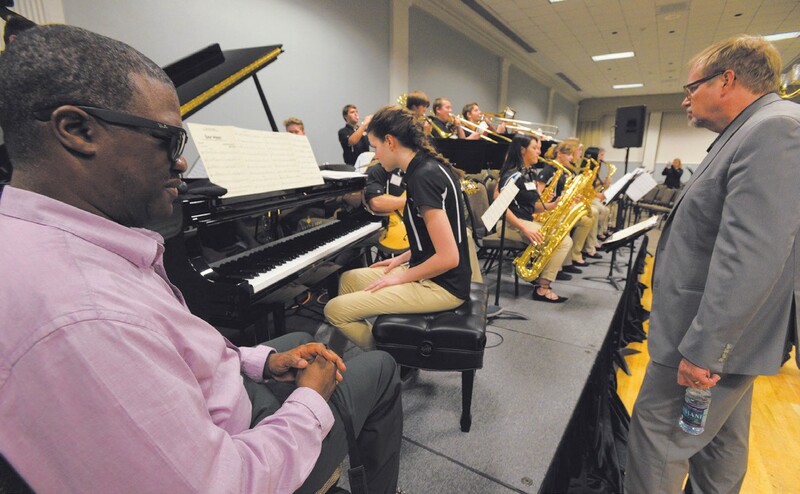 “Leading Swing Central Jazz is one of the most important things I do. Year after year we hear from educators and students that our innovative approach to big band jazz is creating better musicians and stronger jazz programs across the country.” n 2018, the nationally recognized SWING CENTRAL JAZZ program features the following bands going headto head for $13,000 in cash awards: Agoura High School Jazz “A” (Agoura Hills, CA) – Bob Hackett, dir. ; Agoura High School Studio Jazz (Agoura Hills, CA) – Chad Bloom, dir. ; Albemarle High School Jazz Ensemble (Charlottesville, VA) – Greg Thomas, dir. ; Battle Ground High Advanced Jazz Band (Battle Ground, WA) – Greg McKelvey, dir. ; Bloomington High School North Advanced Jazz Band (Bloomington, IN) – Janis Stockhouse, dir. ; Byron Center High School Jazz Orchestra (Byron Center, MI) – Marc Townley, dir. ; Jazz at Lincoln Center Youth Big Band (New York, NY) – Matt Butterman, dir. ; Newport High School Jazz I (Bellevue, WA) – Cory Edwards, dir. ; Niceville High School Jazz Band (Niceville, FL) – Dan Wooten, dir. ; Northview High School (Grand Rapids, MI) – Greg Wells, dir. ; Rio Americano AM Jazz Ensemble (Sacramento, CA) – Josh Murray, dir. ; SFJazz High School All-Stars (San Francisco, CA) – Paul Contos, dir. Alternates: Tarpon Springs High School Jazz Ensemble (Tarpon Springs, FL) – Chris de Léon, dir. ; Las Vegas Academy of the Arts Jazz Band (Las Vegas, NV) – Patrick Bowen, dir.. The 2018 SWING CENTRAL JAZZ clinician team includes: Voice: Brianna Thomas; Trumpets: Jim Ketch, Tim Blackmon, Alphonso Horne, Terell Stafford; Reeds: Mercedes Beckman, Joe Goldberg, Tissa Khosla, Ricardo Pascal, Stephen Riley; Trombones: Wycliffe Gordon, Ron Westray, Corey Wilcox; Guitar: Dave Stryker; Drums: Leon Anderson, Bryan Carter, Jason Marsalis; Bass: Rodney Jordan, Raviv Markovitz, Rodney Whitaker; Piano: Marcus Roberts, Sullivan Fortner, Chris Pattishall, Bill Peterson. On April 5, all bands perform in Jazz on the River at Rousakis Plaza on River Street. Competition rounds take place all day on April 6 at the Lucas Theatre for the Arts, and are presented through webcast for family and friends who aren’t able to make the trip to Savannah. During the competition, each band plays an original commissioned arrangement of Cole Porter’s classic song “Night and Day” by trumpeter Alphonso Horne, as well as two selections from standard big band repertoire by composers such as Benny Carter, Billy Strayhorn, Thelonious Monk and Sammy Nestico. The three top-scoring bands each receive an honorarium and vie for the coveted Jean Elizabeth Faircloth Award ($5000 for first, $2500 for second and $1000 for third place). They also perform the opening set at the SMF production entitled Stomping the Blues, an original production at the Lucas Theatre for the Arts at 6:30 p.m. on April 6. All other competitors receive a $500 travel stipend. SWING CENTRAL JAZZ is sponsored by Bob Faircloth, Georgia Public Broadcasting and Anne P. West. I wanted to know what band won the Jazz Compition out of the high schools that competed?